Summer will be ending with a blazing ?bang ? 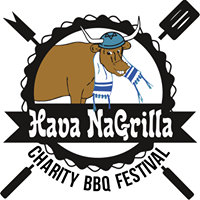 at the Hava NaGrilla Smoke BBQ Festival. Come watch the heated competition for the Mid-Atlantic #Championship. August 26th from 12-5pm in Main Line Philadelphia. It was be a fun filled family event with so many things to do for every age. Beer gardens, mechanical bull riding, pickle eating contest and live bands all hosted by the one and only Kosher Guru. 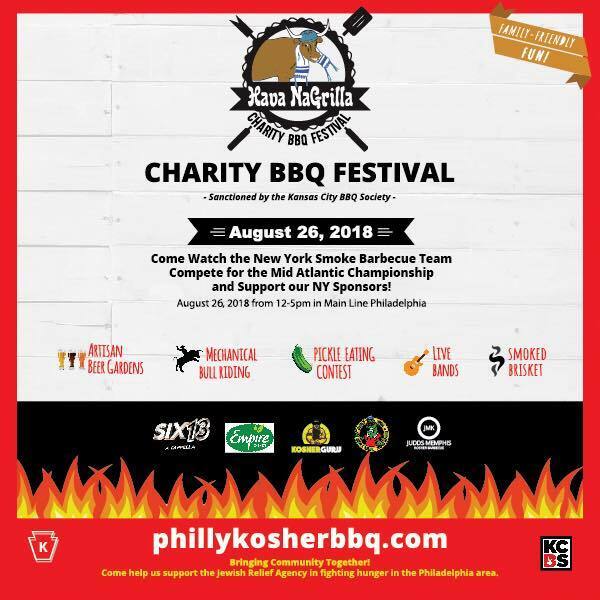 Proceeds go to support the Jewish Relief Agency in fighting hunger in the Philadelphia area. This competition is sanctioned by the KCBS so you know it’s no joke!